Good work, Sarushka. I wonder what they did for cramps (since just laying in bed wouldn't really help it that much)? Thank You to Ally ! Thanks to Raegan Baker's and Marina Petrov's efforts: The Diary of Grand Duchess Olga Nicholaievna 1913. My memory is vague , but I think I remember reading that they used something that was quite warm (not sure what it precisely is?) to ease the cramp pain. Not much of a help, I 'm sure someone would know better than me? ..
From what I've found, wild yam was one method to ease menstrual cramps as well as black cohosh. I'd bet money on a good old fashioned hot water bottle. 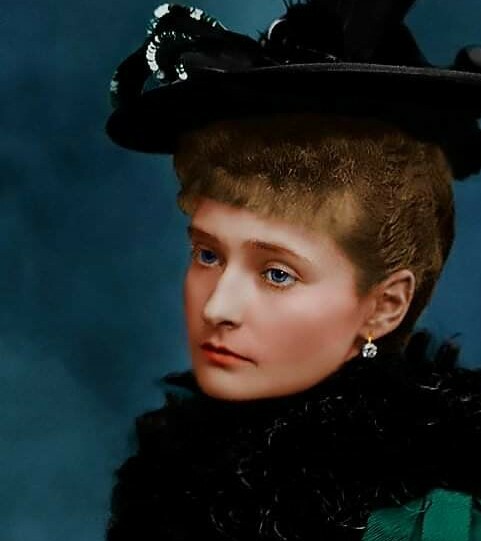 It says on page 60 of Helen Rappaport's book about the Romanovs that I am just now reading that Alexandra used cocaine and morphine for menstrual pain as well as using them for other things. Just thought I'd mention that as no one has yet.I would be interested in seeing the 1916 ad, Rosieposie. My grandmother was given gin by her mother, as was my mother by her mother (and me by mine). It works- as does most strong alcohol. Many women who don't actually drink have used it "for medicinal purposes'. I don't know if the Imperial Family would have used it or not- but my grandmother was growing up at around the same time. Yes, Sarushka! I think I remember reading that in a letter, but I can 't be too sure! To my knowledge, it's only carried by Gilbert's Royal Books in Ontario, Canada. (They published it.) Occasionally Gilbert will sell some of his stock via eBay, but he doesn't seem to distribute it to other bookselling outlets like Amazon. There's a direct link to the GRB site on this page about the diary. Thank you so much, with all my heart,Sarah! A hot water bottle makes sense. I didn't remember that bit about Alexandra using cocaine and morphine. Although she used those things, I think I'd be surprised if she administered alcohol to the girls as a remedy. Yes, I'd be surprised too, although using cocaine and morphine as medicines back then was thought to be helpful, rather than harmful. But it's true Alexandra and Nicholas wouldn't even use morphine for Alexei's hemophilia attacks, which were undoubtedly more painful than menstrual cramps, so if they didn't let Alexei use it for fear of dependence, I'd doubt they'd let the girls use it for cramps and using alcohol is doubtful too. But it's true Alexandra and Nicholas wouldn't even use morphine for Alexei's hemophilia attacks, which were undoubtedly more painful than menstrual cramps, so if they didn't let Alexei use it for fear of dependence, I'd doubt they'd let the girls use it for cramps and using alcohol is doubtful too. Actually, Olga wrote in her diary on January 30, 1917 that Alexei was injected with 1/2 syringe of morphine. Al. got a shot of a ½ syringe of morphine, and he is sleeping since 6.